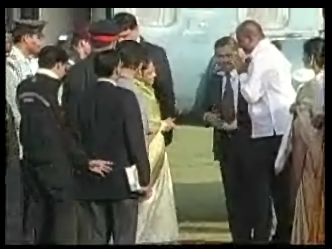 The president of India, Smt. 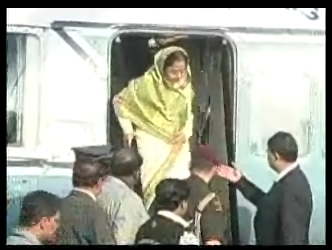 Pratibha Devisingh Patil arrived in Manipal by chartered helicopter just a few minutes ago. 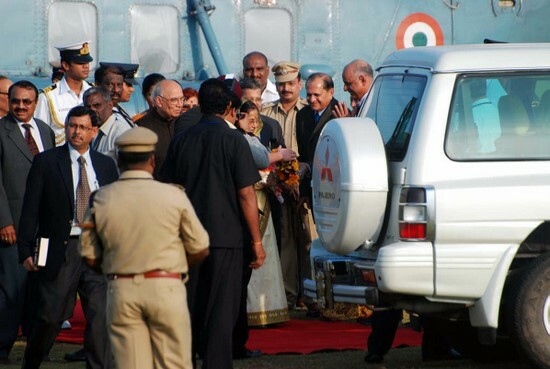 On arrival she was greeted by Karnataka Home minister, Dr.V.S.Acharya and was escorted to the Valley view hotel in a motor procession from the end point helipad. 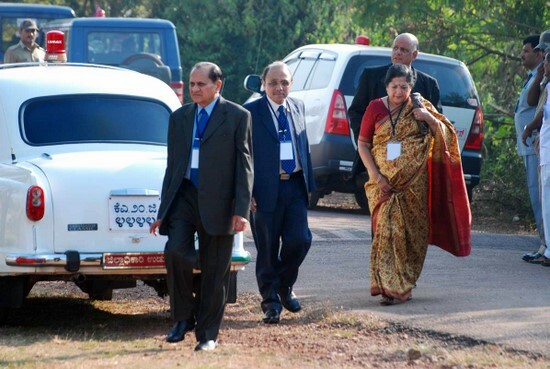 Also present at the arrival were Manipal University Chancellor Dr.Ramdas Pai, Pro-chancellor Dr.H.S.Ballal and Dr. Ramnarayan. 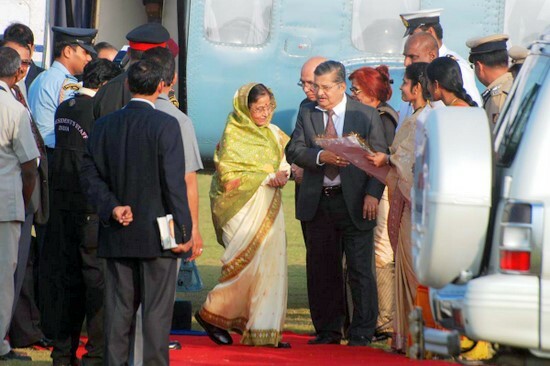 The President of India – Smt.Pratibha Patil, is greeted by Dr. V.S.Acharya, the minister for Higher Education , Karnataka upon arrival at End Point Helipad, in Manipal. Dr. V.S.Acharya is an Alumnus of the Kasturba Medical College, Manipal a constituent college of the Manipal University. Also seen are he governor of Karnataka, Shri. Hansraj Bharadwaj and his wife, who were invited to the function. 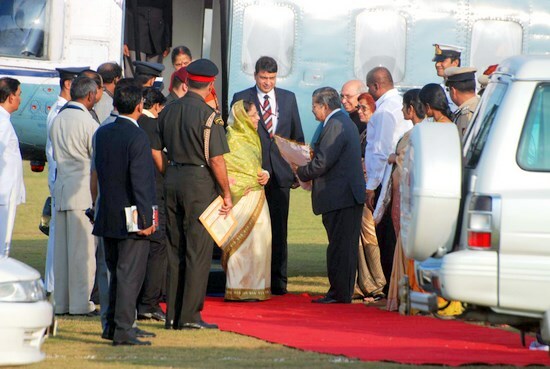 Dr.Ramdas Pai, Dr.K.Ramanrayan and Dr.H.S.Ballal of the Manipal University Management group were also present at the Helipad to welcome the President of India – Smt. Pratibha Devisingh Patil. It was a coup of sorts by the Manipal University to have such a distinguished dignitary as the Chief guest for it’s 10th Convocation.